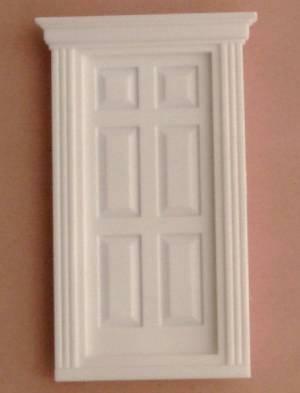 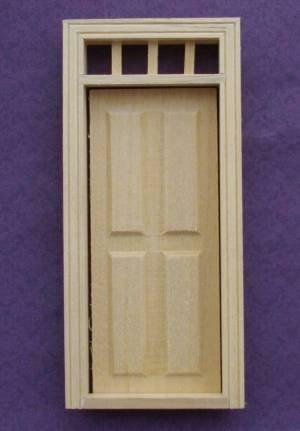 1/24th scale Houseworks wood french door with fitted plastic "glass" panels. 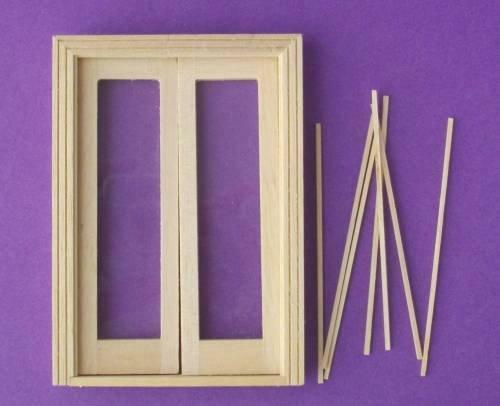 Includes glazing bars which can be cut and fit however you wish. 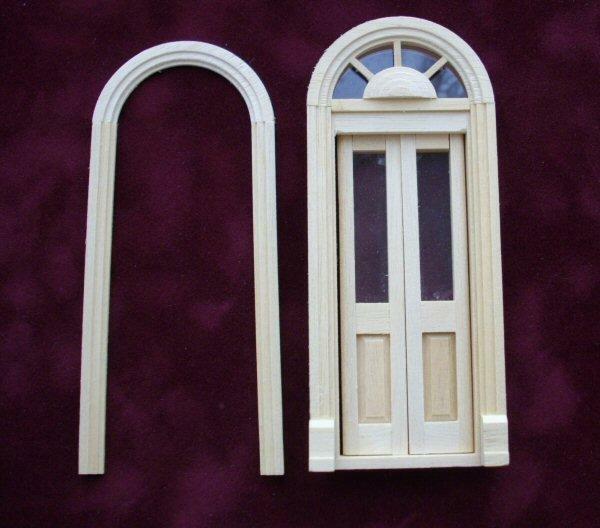 Overall size 98mm x 68mm wide (92mm at pediment).Size of opening needed 96mm x 65mm wide.